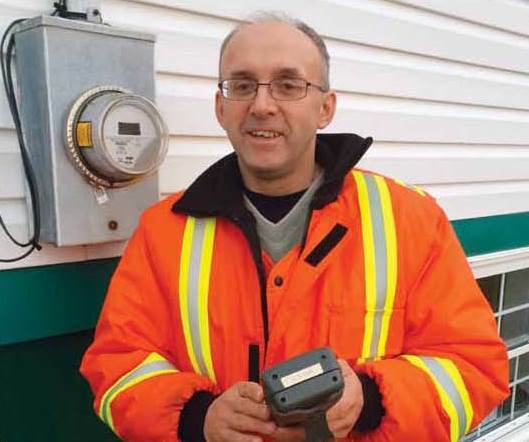 Meter Readers need safe and clear access to your meter to ensure accurate readings. Please ensure the type of trees or shrubs you are planting near your meter does not obstruct the view for reading or cause a hazard to your Meter Reader. If you see a Newfoundland and Labrador Hydro meter with cracked or broken glass, don’t touch it, and warn others to stay away. Call Customer Services at 1-888-737-1296 to report the condition. Secure your dog away from meter areas. Dogs on customer routes can be a safety concern for Hydro’s Meter Readers. Dogs must be in the home or in a secure kennel. Tell us about meters located in dangerous areas. What might have been free and easy access when the meter was installed, may now be a hazard. New construction at your home, such as a new patio or deck, may place the meter in an undesirable location. 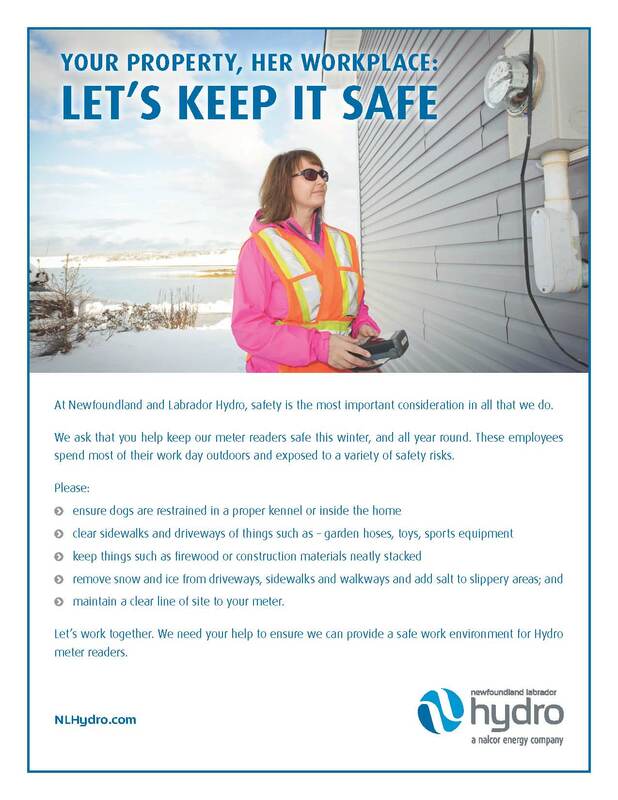 Please contact us at customerservices@nlh.nl.ca with any questions about the safety of the area around your meter.